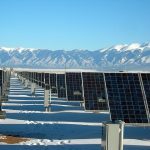 The PV market in 2018 has experienced considerable changes. Some policies are vague, while different trends emerge in supply chains of mono-Si and multi-Si products. N-type cells join the competition again, while other solutions such as bifacial cells, half-cut cells, shingled cells, and multi-busbar (MBB), etc. are developing at the same time. The market is faced with more uncertainties. 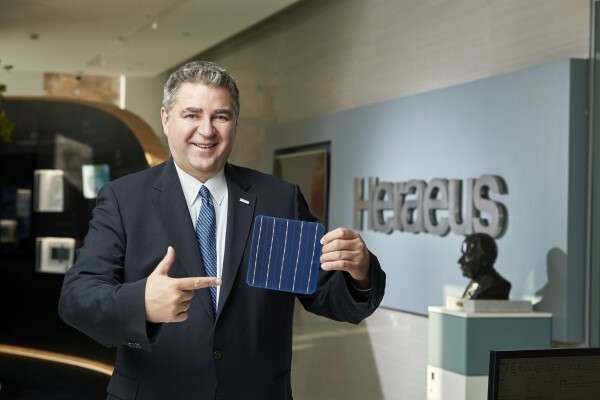 As a market leader and supplier of key materials for solar cells, Heraeus Photovoltaics has always been sensitive to technological advances and market trends. Mono-Si PERC cells may reach high efficiency up to 24% in mass production, says Andreas Liebheit, President of Heraeus Photovoltaics. The high efficiency can be achieved by integrating other techniques like double printing, double layer passivation, texturing improvements, selective emitter (SE), and improvements in materials and manufacturing process (e.g. higher purity silicon and improvements of screen printing). The technical advantages of mono-Si PERC and its high performance-price ratio created by price reduction have imposed huge pressure on multi-Si products. The market situation for multi-Si supply chain is currently difficult, and small companies may close down, says Liebheit. “Industries always have ups and downs, and the global PV market is still expanding, so enterprises do not have to panic”, notes Liebheit. On the other hand, the commercialization of N-type cells has been delayed due to efficiency improvements and cost reduction of mono-Si PERC. Will this situation repeat itself? According to EnergyTrend's research, the efficiency of N-type cells must be at least 1% higher than that of mono-Si PERC in order to be more competitive. This means that N-type cells need to reach the efficiency up to 25%, which at present has very high technological barriers. Regarding this, Liebheit says, "Mono-Si PERC must integrate many other technologies in order to achieve the efficiency of 24%, and the research and development of it take considerable time. As mono-Si PERC goes mature, N-type cells will also have opportunities for development." Among the several N-type technologies, Liebheit is particularly optimistic about heterojunction. Heterojunction can be used with the bifacial technology that are becoming the mainstream, and the related industrial chains such as production equipment and silver paste are also established. 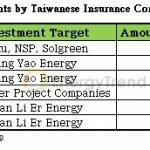 However, Liebheit emphasizes that the amount of investment will influence the development of heterojunction technology. "Prices need to be reduced for commercialization, but the current problem of N-type solutions lies in manufacturing costs and operating costs", he adds. But he still has confidence in N-type technology because some equipment manufacturers have developed solution that can reduce the heterojunction production cost by 40%. He also believes that the N-type can grow mature within 2 to 3 years. What will be happening with the market? Liebheit points out that the recent Section 201 Tariff issues have actually made the situation worse for multi-Si PERC. However, he believes that the U.S. market will stabilize in 2019 as new production lines being established in the U.S., exempted countries increasing, and the tariff barriers decreasing year by year. Coupled with the recovery in European markets and the rise of emerging markets, the global PV market will still maintain a positive growth even the demand from China is likely to decline year by year. Demand for products varies from market to market, which means that all kinds of technologies have their areas of applications. Heraeus has again expanded its lineup of solutions at SNEC 2018. In addition to existing products and services upgrades, it has further introduced high-efficiency printing Screens and Hecaro™, a new kind of low silver conductive adhesive that can be applied to busbar-free cells, shingled modules, and IBC. No matter how the market fluctuates, Heraeus has well prepared for the challenges.